It is both the attractive flowers and the bright green foliage that make this such an interesting plant. 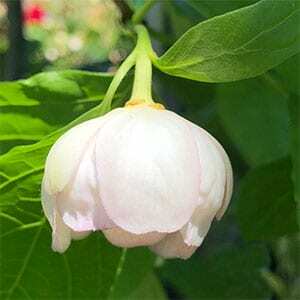 The flowers are large to around 20 cm across, white blushed with pink. The foliage is a bright green which gives a shaded are of the garden a real lift, and in autumn they turn to a golden yellow. Common Name – Chinese wax shrub. 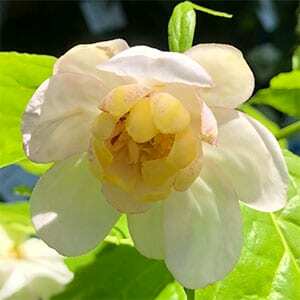 Calycanthus chinensis is available for sale from the following participating nurseries.